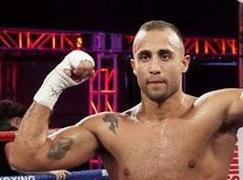 Signani won the vacant IBF Latino middleweight title. Tatli retained the EBU title with a hardfought, tougher than expected, win over Urguiaga, who came in on less than a month´s notice for Marvin Petit and gave everything for a close loss on scores of 116-112, 116-114 and 115-113. Tough fight again for Helenius but he won clearly and rocked his opponent in the first and last. It was scored 60-55, 59-55 and 58-57. 77-74, 77-75 Gamhour and 77-74 Torres, who was ruled down after an off-balance slip in the first. In the second Gamhour was hurt by a right, and reportedly also injured his right arm (biceps) badly. Torres kept coming with Gamhour trying to keep the distance work behind the jab. In the last Gamhour battled it out and showed guts but win he did not. This was for the vacant WBFou I/C Silver title. Navarrete was a sub for Michele Di Rocco. Danilov was floored in the third and fourth.